im your lights and light some candles and listen to a hauntingly smooth voice that can melt even the coldest of hearts. With a velvet touch and alluring disposition, she has the ability to capture the mood and emotions. Only a few, successfully master the art of capturing mood and emotion the way Deepali does. I happened to listen to one of her songs in 2005 when she was unknown and not so popular and it was then, I knew the great potential of this melodies singer. Deepali is a versatile and an accomplished singer. She is a regular performer at various local and regional TV channels. 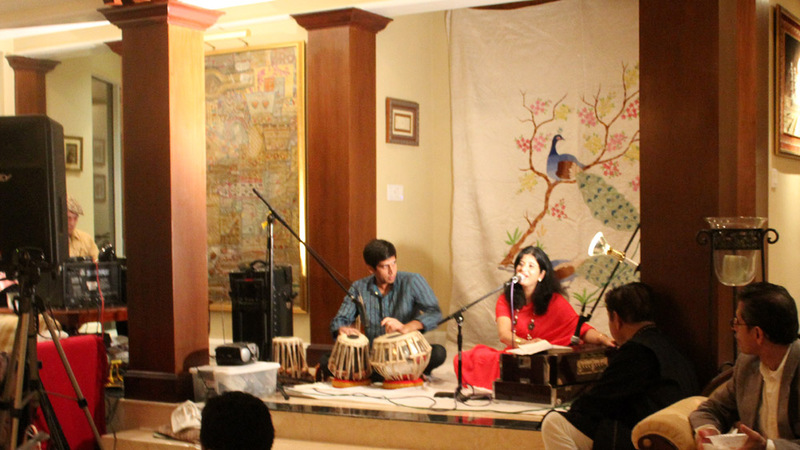 Deepali received formal training in different streams of Music from Pandit Brij Krishan Shair at the age of 11. She has learnt classical music from Pandit P. N. Raina and light music from Pandit Shanti Koul. She has since 1980, received numerous recognitions from institutions like Jammu & Kashmir Academy of Art, Culture and Languages, Radio Kashmir Srinagar, and various colleges and Educational Institutions. Currently working as Instructor (Lecturer) in Music (Vocal) in Institute of Music and Fine Arts, Jammu. She started her singing career from 1990 and has sung more than 2000 songs in different languages like (Urdu, Hindustani, Kashmiri, Dogri, Pahari, Gojri, Ladakhi, Himachali, Bhaderwahi, Rajashtani, Gujarti and English). Some of her playback singing in the Regional films. Sung in more than 20 Albums in different languages. Sung in various serials/musical programmes for Door Darshan Kendra and All India Radio, Jammu, Srinagar, Jalandhar, Kathua and Chandigarh. Sung in various stage plays, Charity Shows, Musical Concerts in India and overseas in the USA, Germany, England. And Numerous other serials and Musical programmes for Prasar BhartiBroad Casting Corporation and All India Radio, since 1990. Dhoop Chaven Tele Serial for Door Darshan Kendra. Very melodies voice. A great feature on the artist. It would have been preferred if the interview would have been conducted in our own mother tongue (kashmiri )Nevermind there will be another occasion. Disappointed to see this interview of Deepali Wattal. https://youtu.be/IaZMLObB3Bs She keeps referring to PoK as Azad Kashmir. As a Kashmiri Pandit,having spent considerable time growing in Kashmir, she should have been instead vocal of the struggle, pain, and humiliation that we faced at the hands of Islamic religious militants. The third person reference to India is shameful as well as grossly Anti national we should remove this interview...people should be held responsible for their words.